How do I undelete a file after emptying my Recycle Bin? It happens to everyone. You empty the Recycle Bin and then realize there was something in there you still needed. Fortunately, if you act carefully, those files can often still be retrieved. There are two things you need to do before you do anything else. First, use the computer with the deleted files as little as possible while you are going through this process. Second, decide how much risk you are willing to accept when attempting to get your data back. Why stop using the computer? There is very good reason for this. When you delete a file from your computer, only references to the files are erased — the actual data is still there. A side effect is that the space where the data is “living” on your hard drive is marked as available. The more you use your computer, the greater your chances that parts of your deleted files will be evicted in favor of new data. Why consider the risk factor? Quite simply, lowering your risk will end up costing you more money. At bare minimum, you will need to get some free utilities and a second drive to save recovered data. If you want to minimize the risk you will lose your data, you will need to contract with a professional data recovery service. This can cost hundreds, if not thousands, but maximizes the chance you will get your data back. As home recovery attempts can destroy your chance of professional recovery, it is best to think this through before you start. So, before you get started, make sure you have everything you need. A second hard drive to save recovered data. One or more deleted file recovery utilities. Undelete Plus and Recuva are popular free tools. Try Boomerang Data Recovery and Data Rescue 3 for a paid option. Both will allow to scan, but not save before you pay. Regardless of what utility you try, the basic process will be the same. Choose the drive that holds the deleted files. 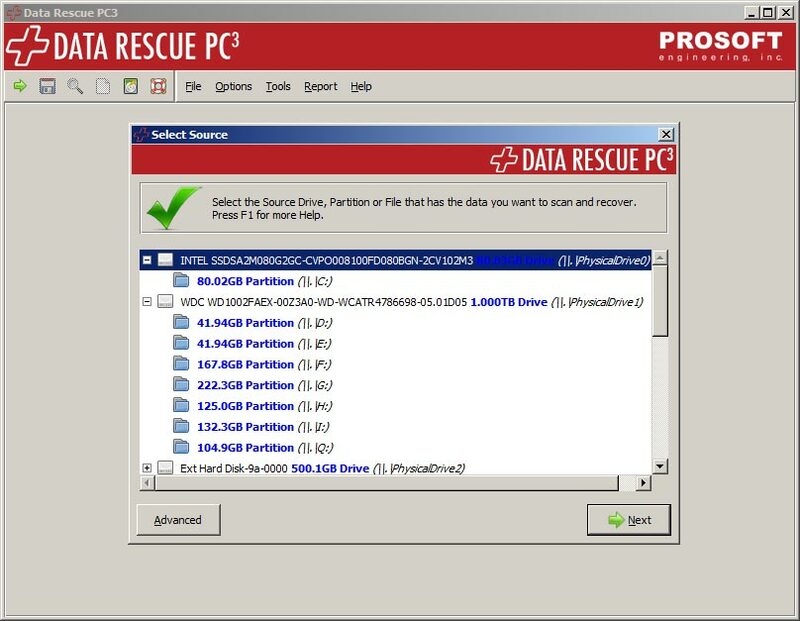 Pick the drive you want to recover data from. Tell the utility that you want to recover deleted files. Go find something else to do while the utility scans your drive for files. It might look interesting, but this process can take several hours. Look through the recovered data for the types of files you were looking for. There are likely to be a lot of system files you don’t recognize. This is normal. The deletion process probably destroyed the names of the old files. Check first where the files belonged, and then look for folders called “Lost files”, “RAW Files” and “Unknown files”. This is where most utilities put items that have lost their names. This can take some time to go through. Once you find something you need, save it to the extra hard drive. Saving it to the original drive could keep you from trying another utility on the data. If you don’t find what you are looking for, don’t be afraid to try another program. There are often big differences in what different utilities will recover. By making smart decisions, you can often get back files that have been deleted. It is going to take some time to go through the whole process, and the results can be messy if you deleted a large number of files. However, with some patience and careful work, you can get your data back.